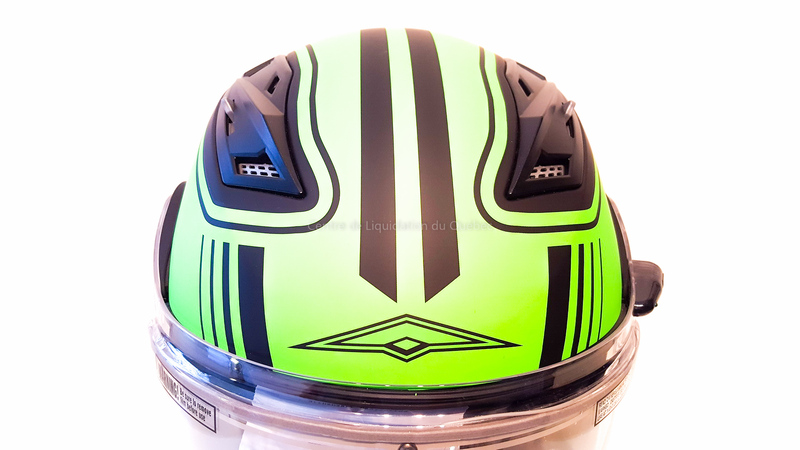 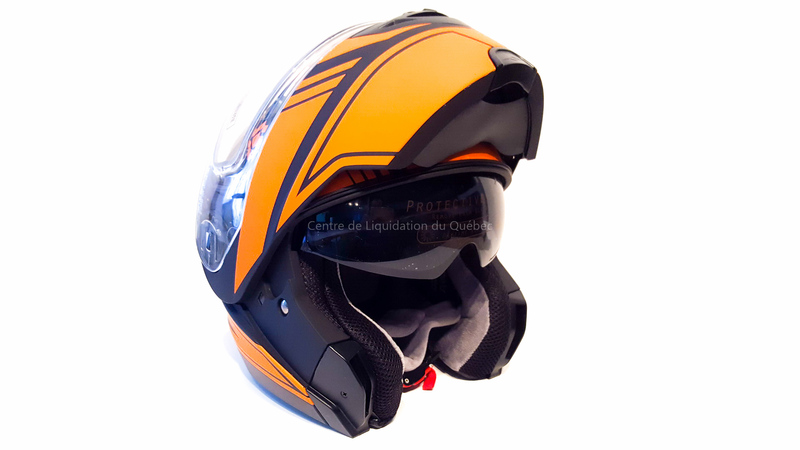 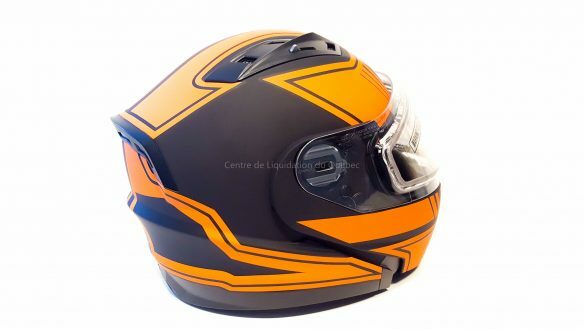 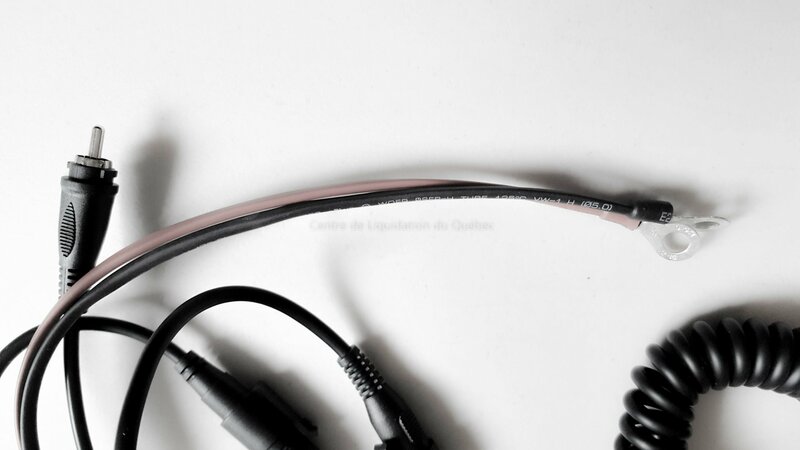 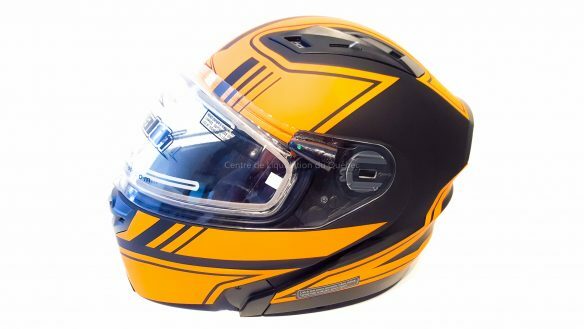 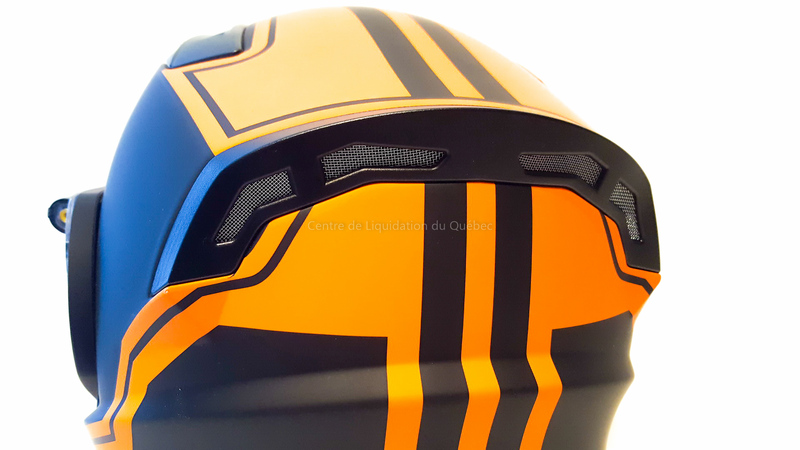 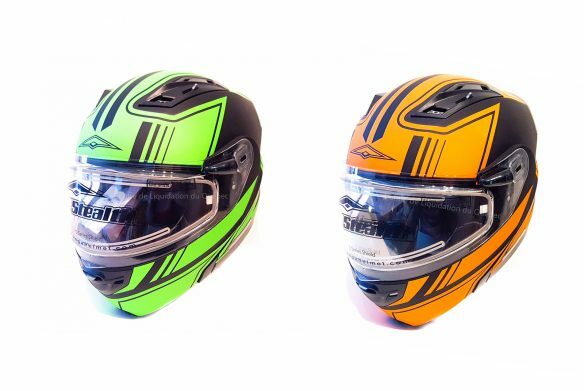 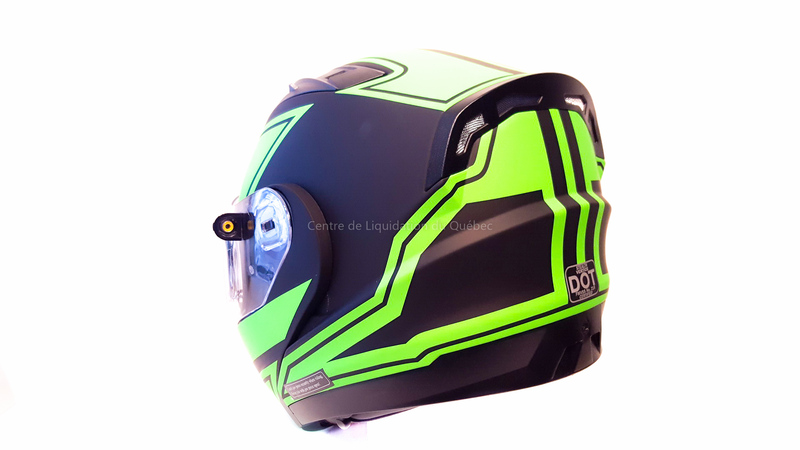 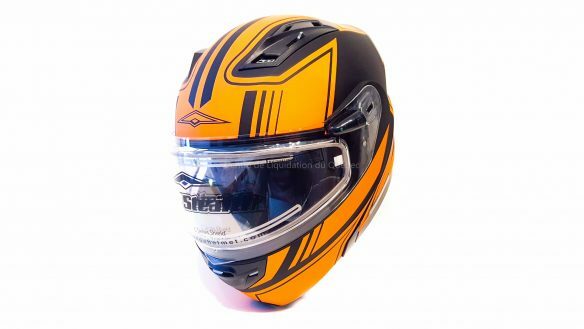 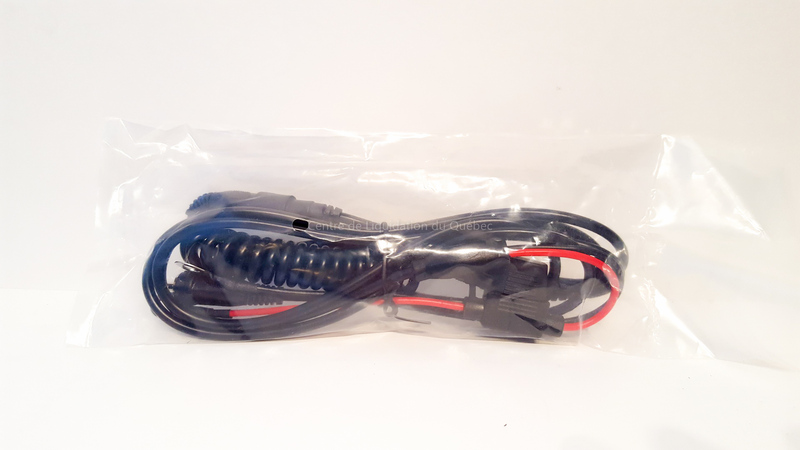 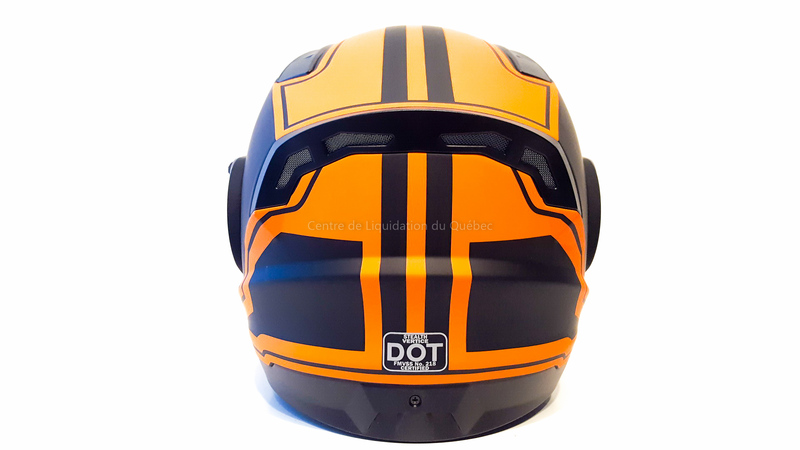 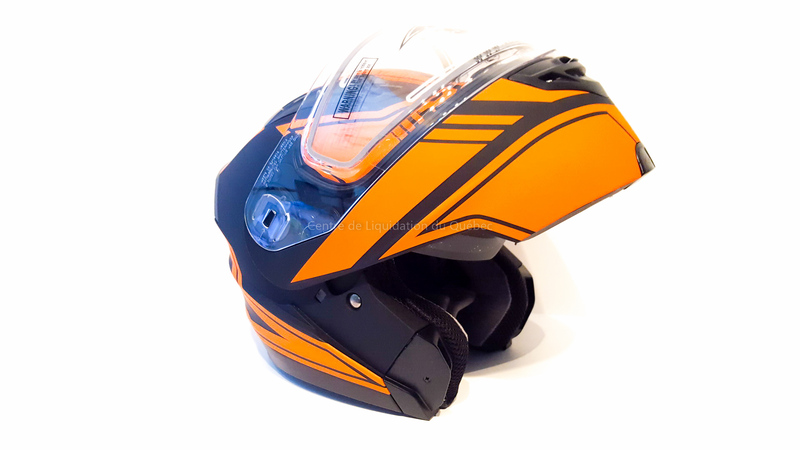 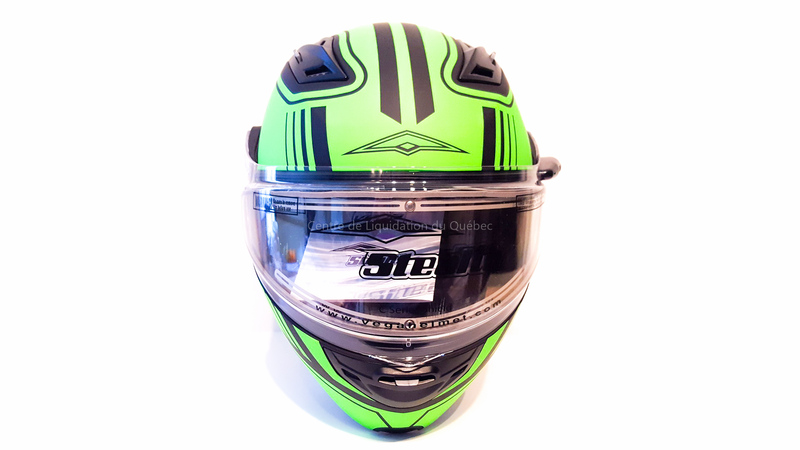 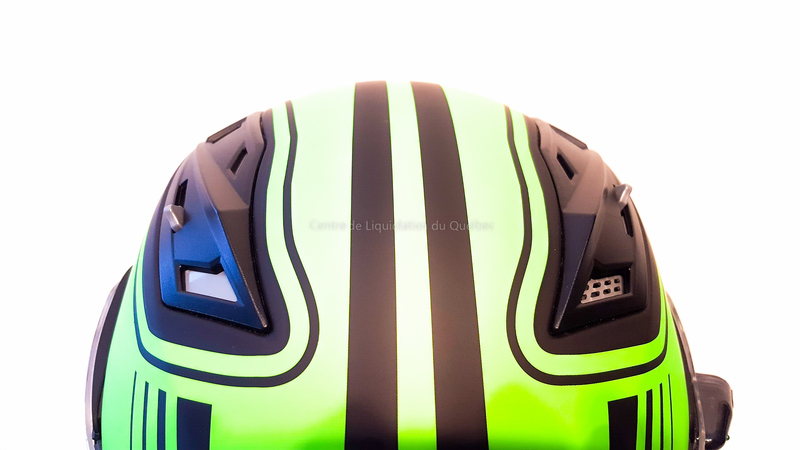 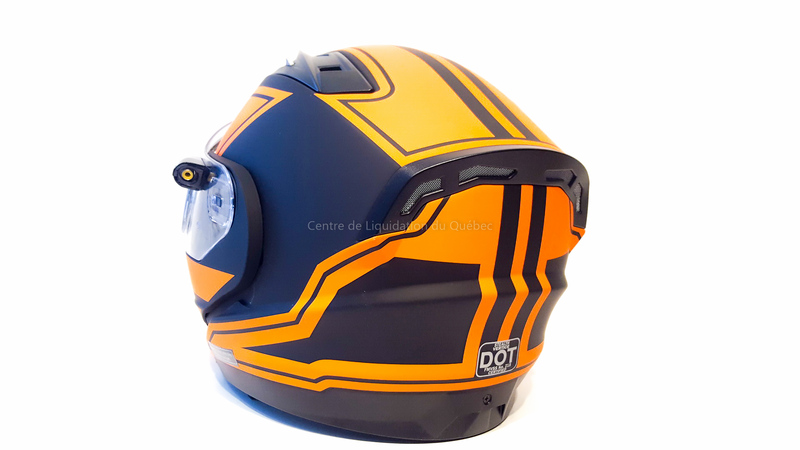 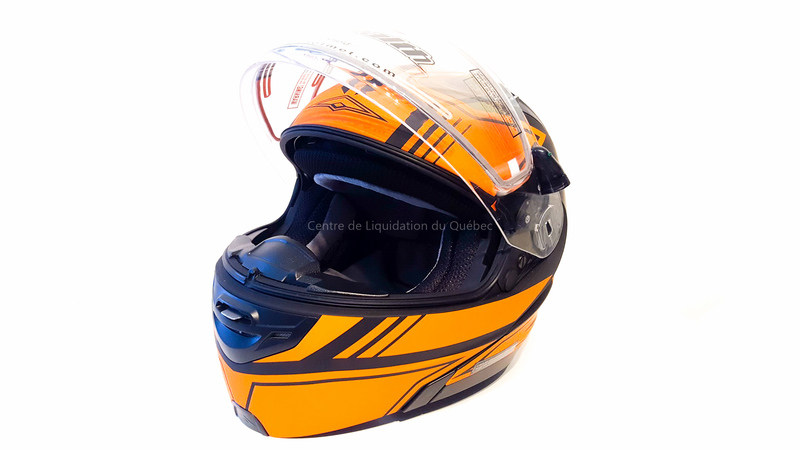 Casque modulaire pour la motoneige Vega design modulaire avec bouton d’ouverture et de fermeture rapide (Vert, Orange). Une vitre électrique, un fil électrique, un masque cache-nez anti-froid. 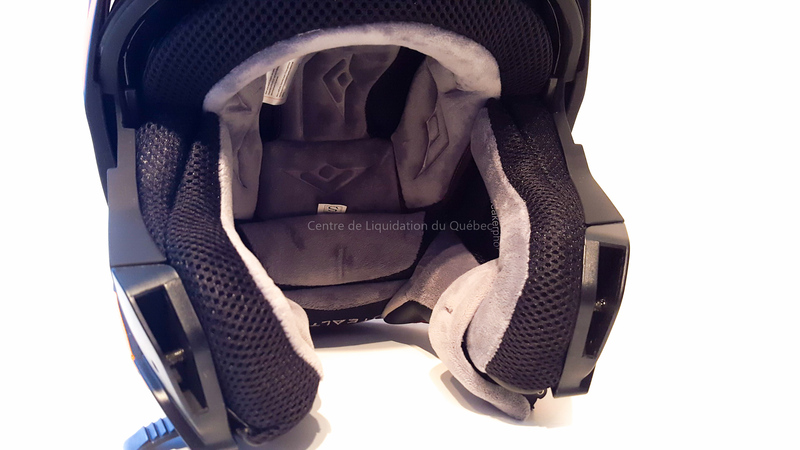 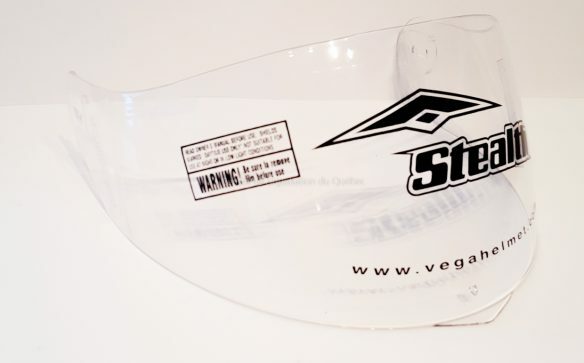 All Stealth Helmets are backed by our 5 year limited warranty. 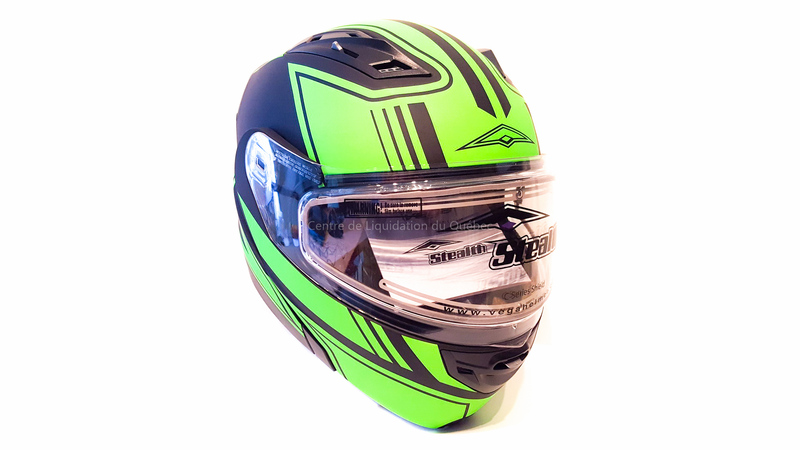 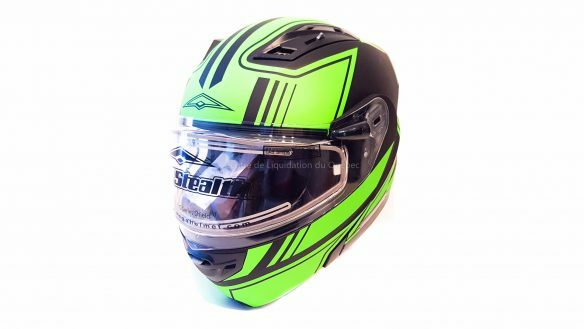 Stealth Vertice is a feature packed modular full face helmet. 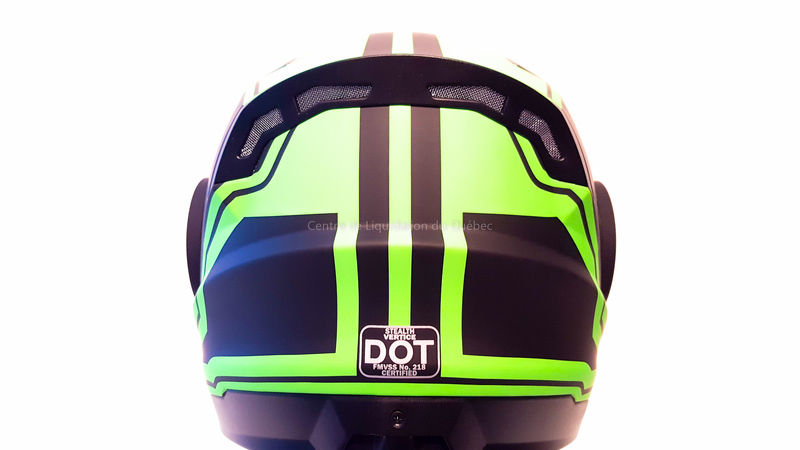 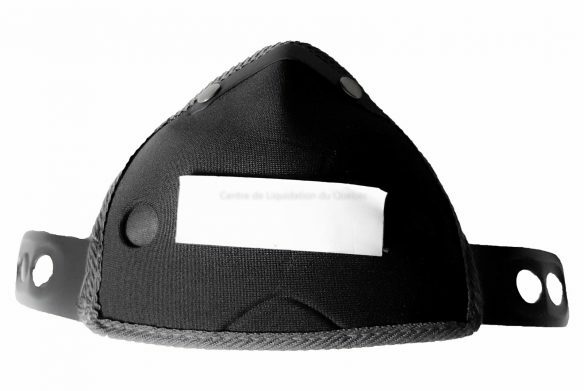 A uniquely designed positive drop down sunshield mechanism is easy to operate and ensures there will never be any unintentional deployment of the DDS at night. A quick release strap system is easy to use with gloves and easy to adjust for a perfect fit. The Extreme comfort fit liner system is anti-microbial, fully removal, washable, has built in speaker-pockets and is interchangeable within shell sizes for a customized fit. 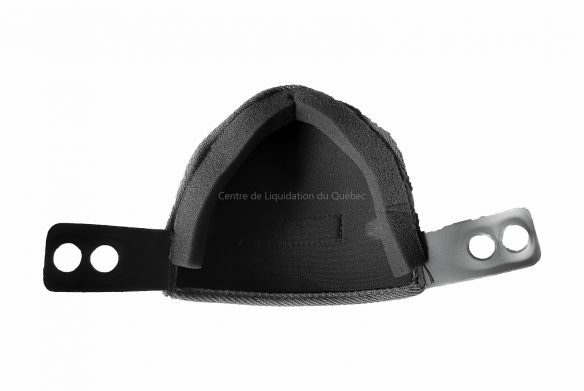 Combine the best wicking liner with the 3-stage top vents, an adjustable mouth vent, rear exhaust port vents and a channeled interior for supreme air flow. 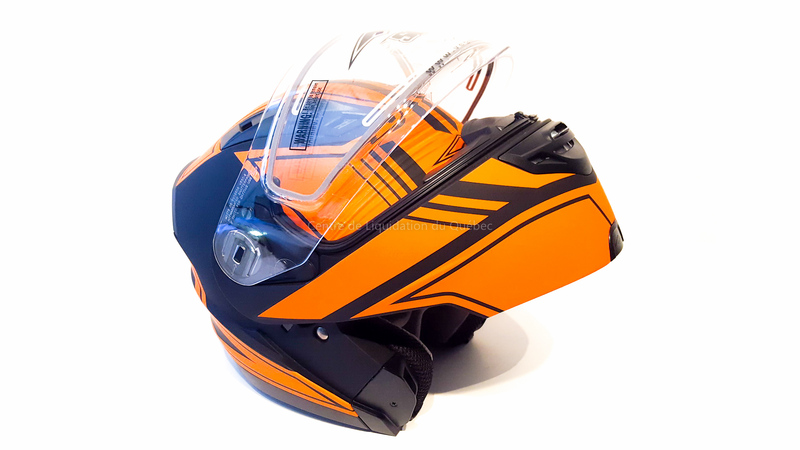 A newly designed quick change exterior shield mounting system, C Series, makes customizing your look easier than ever and with replacement outer shields available in Clear, Smoke and Silver Mirror on Smoke and inner DDS shield colors available in Smoke, Light Smoke and Amber you can always ride in style. 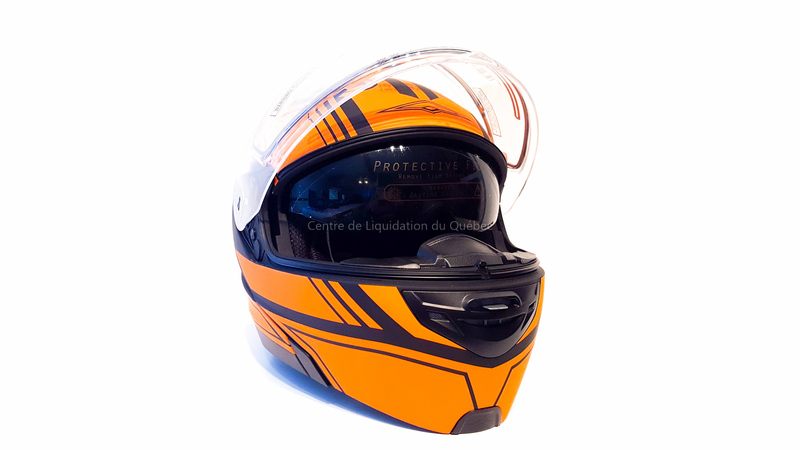 The clear, smoke C Series shields come standard with an anti-fog and anti- scratch coating and the silver mirror on smoke is anti-scratch coated. 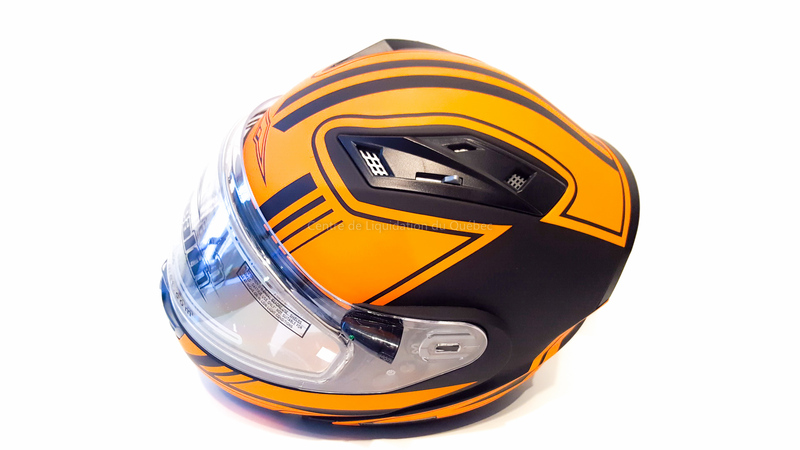 Available in sizes XS – 3XL. All Stealth Helmets are backed by our 5 year limited warranty.